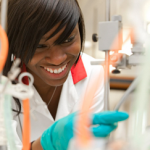 Industrial CASE studentships (Collaborative Awards in Science and Engineering) allow postgraduate research students to receive high quality research training in collaboration with a commercial or other non-academic partner. The studentships are part-funded by Research Councils together with the partner and include stipend, tuition fees and other project costs. Although the eligibility criteria and partner financial contribution differ for each Research Council, the basic principle is that the partner contributes financially to the studentship (through stipend top-up and/or additional consumables). The partner can specify a research project that will be of importance to them and they must also provide a placement at their premises and a supervisor for the student. 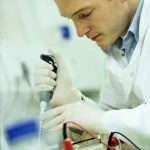 Driving innovation and collaborating with industry remains at the heart of MRC strategy and delivery plans. The MRC industrial CASE (iCASE) PhD studentship scheme has for many years played a key role in this by helping develop partnerships and enabling students to benefit from a broad and unique training experience (see RCUK joint vision for collaborative training). Given this previous success and the enormous potential that industry-academic collaboration has to offer for UK society and the economy, the MRC wish to enhance the flexibility of the MRC iCASE studentship scheme. The MRC recently announced a change to MRC iCASE Studentship Awards which will see studentships allocated directly to research organisations. This new approach differs from the previous system, where Project Investigators (PIs) submitted individual industrial CASE studentship proposals directly to an annual call. Studentships will be allocated directly to research organisations starting from the 2018 intake. The new approach aims to give partner and academic organisations more control over the timescales of their collaborations, enabling industrial CASE studentship opportunities to be created in a more flexible and scalable way. 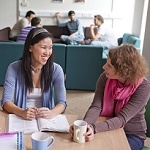 The scheme remit, eligibility and start date for the new student intake – September 2018 – remains unchanged. The MRC DTP submitted a successful institutional bid to the new call. We have been awarded 3 CASE studentships to commence in September 2019 and 2020 respectively. Please visit our Project Call Page for information on how to submit a Project Proposal for this funding opportunity. PIs may find the MRC Guidance useful as well as the KCL Intranet. My placement was with Mindwave, a company that specialises in creating/delivering digital products and services (usually related to mental health). My main role within the team was to oversee a round of extensive updates to the research app being used for my PhD research. As part of this, with the support of the design team, I learnt some skills in graphic and user experience design, which helped me to share my vision of the app with the developer. Working within the team helped me to effectively plan and prioritise the work that needed to be done on the project in order to get a high-quality product delivered on time. As a result of the work done on the app, I hope to publish a technical paper highlighting its capabilities in the future. For information about the expected contribution of an Industry Partner to an iCASE studentship, see the MRC Guidance.